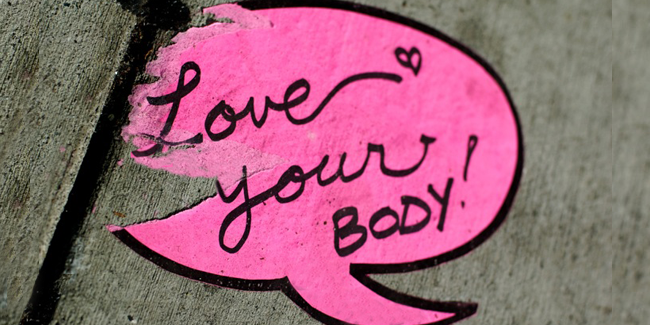 The Butterfly Foundation for Eating Disorders today launched their ‘Love Your Body Week’ campaign, aiming to raise awareness about eating disorders whilst promoting body confidence in support of ‘Body Image and Eating Disorders Awareness Week‘. National Manager of Communications and Fundraising for the Butterfly Foundation Sarah Spence said the week is about changing the current negative thinking and challenging societies’ views on body image. “We want to change the conversation and we want to change the current thinking in society which says that people are valued by the way that they look and their body shape and size,” Ms Spence said. Ms Spence said while negative body image can lead to eating disorders, the stigma surrounding the disease is also a big part of the problem in society and feels it needs to be tackled. “We’ve raised awareness, the second part is over a period of time, really working hard to reduce the stigma that’s associated with eating disorders,” Ms Spence said. Alice* aged 22 years said she developed anorexia and bulimia at 17 years due to her negative body image which was formed largely through participation in gymnastics and ballet. “I was never a large girl and was always healthy (looking back on it now) but at 17 you have so many different pressures in your life from school, media etc and it all got a bit too much,” she said. Alice believes the stigma and lack of knowledge about eating disorders made it hard for people to understand what she was going through. She said raising community awareness with campaigns such as Body Image and Eating Disorders Awareness Week will help the issue. “I lost many of my friends because at that age, they don’t have the ability to be able to set themselves in your shoes and try and empathise,” Alice said. Alice said people who are experiencing an eating disorder should seek help earlier rather than later and they should to not feel ashamed because they are not alone. “Try going to talk groups or speaking to someone you trust and can confide in about what you’re feeling and what you’re worried about,” Alice said.